Music has such a joyful, liberating power. When we sing in worship it starts deep within us and then spreads and fills the whole room. Many of us love to sing; I see it on faces as worshippers sing praise to God. That is what draws many of people to Sunday worship–the joyous worship of our God. 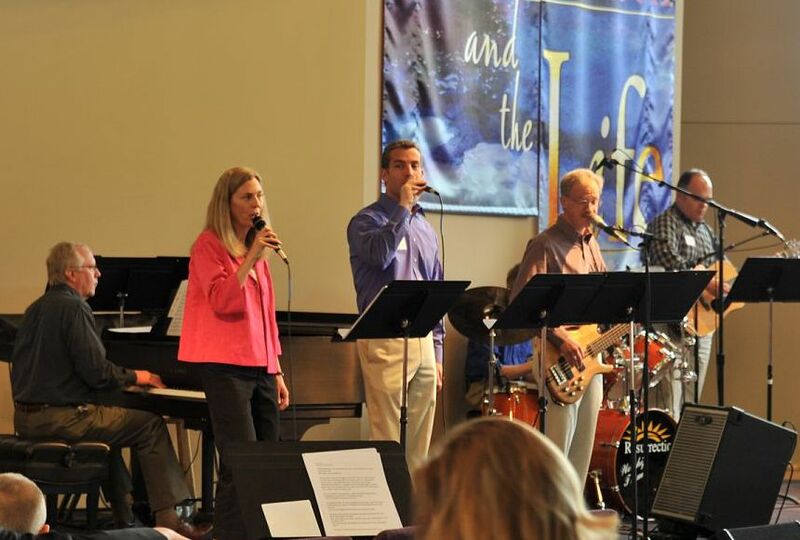 I am so thankful for Resurrection’s worship team who faithfully and joyous lead us in song each week. But joyous worship is not limited to contemporary Christian music. Singing praises to God is as ancient as the Bible. One of the oldest pieces of song is from the exodus, when the Israelites escaped the Egyptian chariot army as they fled across the Red Sea. The earliest church continued the Hebrew practice of singing praise to God. Paul encouraged the church at Ephesus, “but be filled with the Spirit, as you sing psalms and hymns and spiritual songs among yourselves, singing and making melody to the Lord in your hearts” (Ephesians 3:19). Throughout the centuries, the church has used song as a primary means of worship. Singing praises to God unites our heart with God’s heart. Music has a way of touching and stirring our emotions that words cannot do alone. You can experience it at a concert, whether it is U2 or the Vienna Boys’ Choir. The power of song is a gift God gives us to express ourselves, whether we can carry a tune or not. After all, the psalmist commands us to make a joyful NOISE to God. Let us make some NOISE today! What is one of your favorite hymns or spiritual songs? Lord Jesus, help me make a joyful noise of praise to you this day. This entry was posted in Bible, Joy, Resurrection Lutheran Church, worship and tagged Ephesians 3:19, Psalm 95, Psalms, singing, song on July 28, 2011 by Pastor John Keller.